Traveling the world is only a set of headphones away. Claudio Silva offers us eight of the world’s most impressive artists. This quartet, hailing from and inspired by Iceland, is one of those bands that force us to rethink the meaning of music. 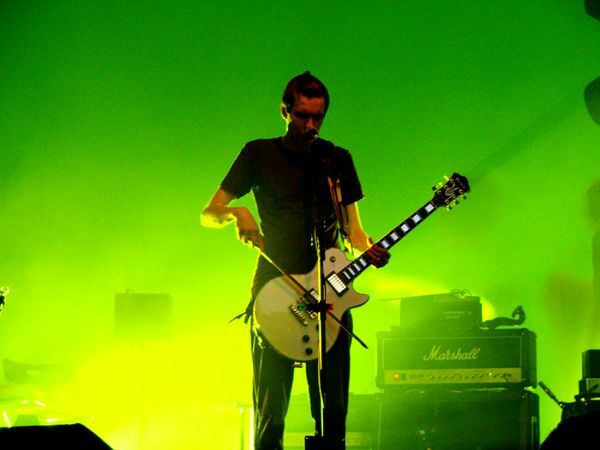 Some of their songs can barely be called that, as Sigur Rós makes widespread use of sounds that we would not readily associate with music. They are also known to use complete silence in some parts of their songs, like here in the first long moments of Svefn-G-Englar. Sigur Rós is not for everyone, but for those who enjoy them, the experience is like opening a window into another world. A rich, melodic sound composed primarily of acoustic guitars, a cello, an accordion, and the breathtaking voice of lead singer Teresa Salgueiro, Madredeus can definitely be considered one of Portugal’s best contributions to the world of music. The voice of Ms. Salgueiro will inspire comparisons to Portugal’s other musical heavyweight and queen of fado, Amália Rodrigues. However, Madredeus has a folksier, universal appeal to it, and will still feel relevant if listened to in the winding streets of Porto or in an art museum in Florence. Haja O Que Houver is considered by some to be the most beautiful love song sung in Portuguese. Although they sing in English, the four band members of 340ml are Mozambicans, born and bred, and you can hear it in their music. In their youth they moved to South Africa to study and have stayed there ever since. 340ml’s groove has elements of jazz, bossa nova, samba, and marrabenta (a traditional Mozambican genre), all against a backdrop of a sick dub bass line that gives their music a raw edge and a distinct sound. They have exploded in popularity in South Africa and rightly so. The track “Midnight” is an excellent introduction to their work and their vibe. Federico Aubele provides the perfect soundtrack for Buenos Aires in particular and Latin America in general. It is as if he channels the sounds, ambiance, and disposition of the region. A native of Argentina, Aubele combines flawless acoustic guitars with downtempo electronia, reggae, and hip hop beats. He does, however, stay true to his roots and in many songs it is possible to hear the accordion so essential to tango. 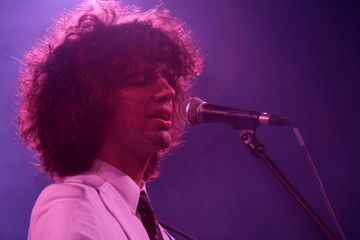 His vocals are laid back and relaxed, and in his first album his wife and equally talented singer Natalia Clavier provided a sensual Spanish vocal backdrop upon which he painted his music. “Diario de Viaje” is vintage Aubele, as it combines reggae elements, his acoustic guitar, and a distinct Argentinean longing. For all of their relative anonymity in the world stage, Cape Verde has produced some truly magnificent musicians. The Barefoot Diva herself, Cesária Évora, comes from these rocky but paradisiacal Atlantic islands off the coast of Senegal. The music of these islands is warm, full of longing and infused with soul. Tcheka embodies it perfectly. He is one of the most exciting artists to emerge from Cape Verde, and one of the only male voices singing its alluring batuque rhythm. Besides having a stunning voice, Tcheka is also a deft guitar player and the rhythm he creates with his string instrument make for a great, calming, introspective listening experience. Comprised of two Angolans and one Portuguese, Buraka Som Sistema is probably unlike anything you’ve ever come across. The rhythm they’ve mastered is called Kuduro, an Angolan creation that combines local kizomba and semba with frenetic electronic and house elements. Kuduro was made popular in the slums of Luanda and exported by the Angolan diaspora living in Lisbon. It has been around since the turn of the century but only now made popular outside Luanda and Lisbon, due in large part to the exploits of Buraka Som Sistema. What’s fascinating about kuduro is that it’s now inspiring people the world over, such as Zakee Kuduro, a Philly artist who has embraced the genre. You might just start hearing it thumping in a nightclub near you. 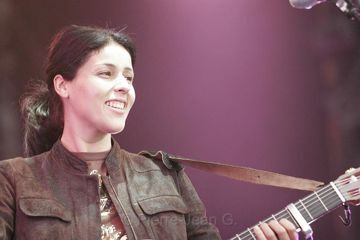 Some singers are able to enchant us with nothing but their voice and their guitar – the Algerian Souad Massi is one of those singers. 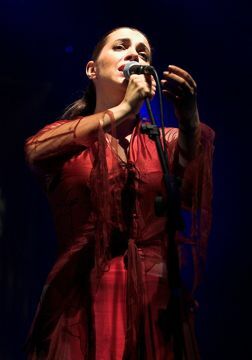 Singing in her native Arabic, as well as French and Spanish, she mixes Algerian rai with Spanish flamenco, Congolese high life, and French chanson. But what really sets Massi apart is her pure, clear voice. Sultry and enthralling, Cibelle is a Brazilian singer who first became famous for participating in a certain Suba’s São Paulo Confessions CD, one that combined traditional Brazilian music with electronica. An experimental artist, she incorporates sounds of glockenspiels, bells, and other gadgets into her music, creating a unique aural landscape that’s even more pleasurable when she starts to sing. In the end you might find yourself comparing some aspects of her music to Icelandic singers like Björk and Emiliana Torrini, but Cibelle’s fare is sexier and more subdued.